WHAT IS EVEN HAPPENING IN THIS GAME? who thinks TT goes down? I’m going to inject Huggins’ post game presser into my veins. DNA of a Champion…I like it. 35-2 free throw descrepency. I’m ready to hear people freak out about that. It happens when a team plays like the billys, they foul, plain and simple. It’s the nature of their game. UH OH…Scotty looking to do the Hawks a favor in Wacko? And not a comment from Frannie. He’s the worst analyst ever. His son even played for OU. Baylor could have been up 9 or at half…instead they turned it over and are only up 4…might be the difference in this game. That wasn’t the only missed called tonight Huggy! Like a tent in a tornado, WVU folded faster than a chinese laundry. Ancient Chinese secret huh?..If you remember that commercial, you’re older than dirt. @truehawk93 I have Methuselah by a month or two…of course, i remember that commercial…lol. I officially declare ownership over those dreaded Hillbillies, also known as the Mounted Thugs. 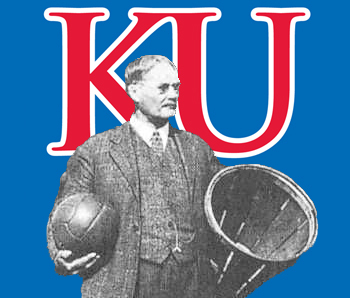 KU was awarded 35 FTs and WVA just 2. I don’t blame Huggy for being pissed. If the stats were reversed, tell me you wouldn’t be complaining. That’s as large a disparity as I can remember. I’m not a fan of WV’s style of play, but 35 to 2? Thank you Baylor! They won despite 3 missed FTs and a turnover in the last 25 seconds. Now we can potentially win it outright…or we could still potentially lose at Tech and still tie. Or we could clinch a tie on TT"s court!!! Perhaps you should look at the scoreboard first. The fouls were 26 for WVU and 14 for KU, the difference was that many of the fouls by WVU were during active shooting while most of KU were not shooting fouls. Bilas commented that the refs should have been calling more fouls on WVU instead of just warning the players. There were also a number of free throws at the end due to WVU fouling and the technical on Huggy. Saying only that the FT were 35-2 without context is very missleading. Tech just got silly there at the end, had 3 chances down by 1 for 2 of them and then by 2. Why wouldn’t you go to hoop in a game that had a tight whistle is silly. @JayHawkFanToo You missed or ignored my point: If KU lost a close road game and the opponent shot 33 more free throws, KU fans, myself included, would be irate over the officiating. Huggins ejection was very understandable, even predictable given the free throw disparity. @stoptheflop we can’t play the same way wvu does. Hugs wasn’t mad til the end. The should have called more! No, I didn’t; you seem to indicate the refereeing favored KU which is not the case. Huggins had no reason to be that upset when you look at the numbers in context and why there was disparity; when a team plays like WVU does you should expect disparity in fouls, ergo free throws. I hope Huggins and every other coach that comes into Allen Fieldhouse feels as though they will be screwed by the refs. It’s great when they are already at a mental disadvantage coming into the building. They are already half beaten with that attitude. Blame it on the refs that way you never get better. WVU’s normal road free throw numbers are 23 fouls by them, 17 by the opponent. Before the technical disaster it was 22-14, and I think there was still at least one deliberate late game foul in there for WVU. @JayHawkFanToo You are ignoring the the last 8 minutes of the game. We’re down 10, and nearly everything went in our favor. I outlined it on another thread. Go to 7:05 of second half. Doke dunks and gets a “barely a touch” foul call. Our next trip down at 6:29 a completely phantom block call on a Vick drive. At 5:41 Svi totally grabs a WVU player’s arm on a rebound, no call. Then at 5:00 280 pound Doke completely flops, refs call WVU foul on a Doke screen. At 1:43 it looked like Doke hit the WVU player in the face on his shot, his arms not vertical, no call. @HighEliteMajor I definitely though that should have been a foul on Doke. I’ll have to check the others you outlined. Also I don’t fault Doke too much for his flop, he was getting mugged on most screens he set throughout the game. He is big and strong though, so I expect that stuff to go uncalled. Dok flopped to get the foul called after dude had physically shoved him back a second before with no call. But here’s the kicker shouldn’t Huggins have been glad about the call? It stopped our offense that was getting going to put Dok on the line for a one and one. Dickhead in OU beat KU that way. Someone OUTLINE the calls we didn’t get it. I don’t have time😂 I do remember them though, showed them on the big screen too. Other than in a blow out, typically more fouls are called in the last few minutes of close games, particularly when teams that play like WVU get tired and sloppy. As others have mentioned in the various threads on the subject, you can find an equal number of calls that went the other way. You must really think that the refs are pristine, and objective, and unaffected by players, coaches, environment or score. @Crimsonorblue22 Why don’t you outline the calls we didn’t get then? Maybe look at the last 8 minutes. You seem to have “time” to perpetually post one liners, so my guess is time isn’t the issue for you. Actually take some time to look at it and maybe your opinion might change. In addition to the Garrett one, there was Svi getting dumpstered by Carter. Thanks to @dylans for mentioning that one. And no, in the last 8 minutes, there are not a “equal number of calls that went the other way. On this we agree to disagree. Why is it that we don’t want the truth? Why is it that when folks universally know the refs are horrible, they won’t at least try to be objective? There are many times when we’ve not gotten the benefit of the refs. There are many times when we’ve been screwed. Over the course of a season – the bigger the sample size – I would say that the incompetence of the refs tends to even out. But why can’t we objectively look at the last 8 minutes of this game and simply admit that we significantly benefited by the calls and non-calls? That happens in CBB all the time. The next time, we might be the victim. And the same folks that stick their heads in the sand when it benefits KU will be the chief complainers. Isn’t this a text book example of an oxymoron? Let’s be objective but let’s look at only the last 8 minutes of the game…ummm, no. If you want to be objective you look at the entire game when even ESPN though fouls were not being called on WVU.